Who wouldn’t prefer to work at a healthy organization than one that might be currently profitable but full of politics, silos, dysfunction and confusion? We can all answer the question asked by the book’s subtitle. The book is more about how leadership can make their organizations healthier. This is a completely unintimidating book on leadership. It will have you wanting to tell your own stories of healthy and unhealthy organizations of which you’ve been a part. More importantly, it will give you simple (even “Duh! I should not have needed to be reminded, but I certainly did.”) level insights and frameworks to apply in your work. 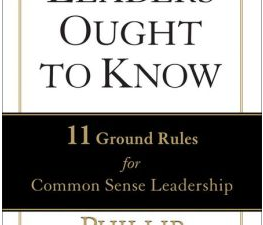 I wasn’t too surprised by how well this book can act as an additional resource to anyone using the Everything DiSC Work of Leaders in their organization. That tool can help you with the author’s first step: build a cohesive leadership team. (Lencioni’s own consulting company uses personality profiles at this stage). The book provides good examples around what Work of Leaders refers to as Vision, Alignment, and Execution. Lencioni refers to the same concepts but as Create Clarity, Overcommunicate Clarity, and Reinforce Clarity. The Advantage has a chapter devoted only to meetings. This is something Work of Leaders does not cover and I recommend adding a discussion around his suggestions (or better yet, implementing them). I found myself a bit skeptical about his recommendations until I recalled how a team I worked with within an unhealthy organization actually followed his recommendations without doing so formally. It helped keep me sane and successful at that job. Lencioni occasionally references his own personality in the book. He knows where he struggles as a leader. His staff knows where he struggles. 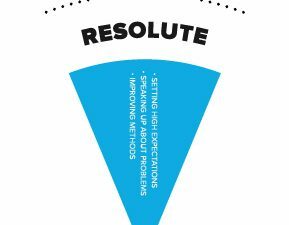 His example might be a good one to use while facilitating an Everything DiSC Work of Leaders session. 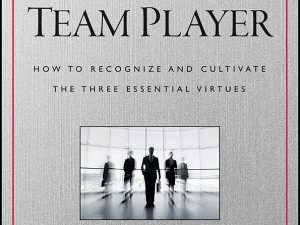 If you’re curious about this book, read Lencioni’s summary article. 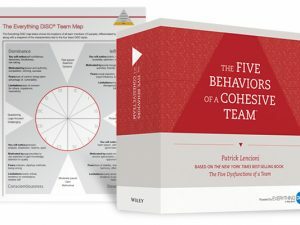 Fans of Lencioni might also be interested in The Five Behaviors of a Cohesive Team, an assessment and training program based on his bestselling The Five Dysfunctions of a Team. Personality Profile Solutions, LLC, is an Everything DiSC – A Wiley brand – Partner. Jossey-Bass is also a Wiley brand.